How many times have you opened your kitchen pantry and wondered, "What's for dinner?" 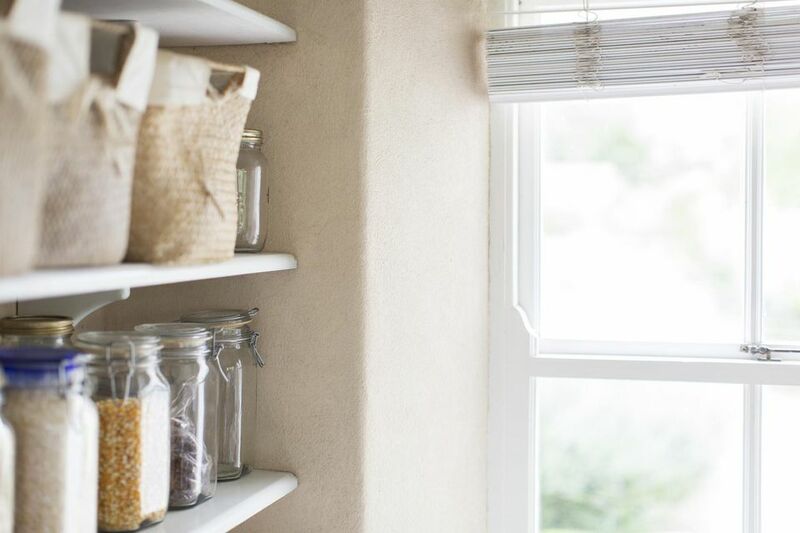 With a stocked kitchen pantry, you won't have to wonder. Make cooking and meal planning easier and save money on groceries by spotting sales on your basics. Have everything you need on-hand with must-have essentials for stocking a pantry that help you savor mealtime with your family. Paying full price for herbs and spices is expensive. Grow your own herbs or keep an eye on sales to save money. With a variety of herbs and spices on hand, you can cook savory soups, mouth-watering pot roast and season all of your favorite foods to your taste. Whip up a batch of cookies on a moment's notice. Bake banana bread the kids will devour. Sweeten your ham or cook the best fried chicken you've ever eaten. Mix your own salad dressing, make marinades for your meats or keep your pork chops from burning in the skillet. Homemade sauces are ideal but not always possible to make without a lot of prep time. Store-bought sauces and condiments have a long shelf life and add lots of flavor to everyday recipes. Many foods you probably prepare from scratch are available as special seasonings. When you're in a pinch, these pouches can shave up to an hour off of the time you spend on dinner. Canned and jarred goods make your kitchen pantry an instant source of vegetables, fruits and proteins. Busy cooks can also use canned goods for stews and casseroles. Storing packaged goods covers all bases -- from hot breakfasts on the table in minutes to afternoon snacks the kids can eat when they get home from school. Look like you spent all day in the kitchen without having to slave over a hot stove. Cook quick, healthy dishes for your family with pasta and rice in your pantry. Low-fat spaghetti and meatballs and mushroom risotto are just two fast recipes you can prepare in 30 minutes. Most of these products serve double duty in your kitchen, helping you coat foods with marinades, cover cooking foods in the oven and store your leftovers.